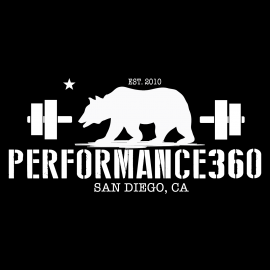 Performance360 is considered the best and most complete gym in San Diego. Utilizing the tried and true combination of barbell strength training, Russian kettlebells, athletic plyometrics, conditioning, Olympic lifting and your good old fashioned own body weight. Our knowledge is well-rounded, our "secret sauce”. Our skill sets are pulled from many years of diverse experience, so we can apply the best principles from each. Made up of former professional and Division-I athletes, strength competitors, yoga instructors, massage therapists, marathon and triathlete champions and various academic degrees in Kinesiology and Nutrition, our staff's certifications range from USA Olympic Weightlifting, StrongFirst Kettlebell, physical therapy and everything in between. If you are in San Diego, Mission Beach, Pacific Beach, La Jolla or any of the surrounding areas, Performance360 should be your training facility. Performance360 has 2 locations in the 92109 zip code. 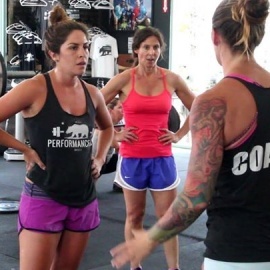 Performance360 is generally recognized as the top cross-training gym in San Diego. 2 Locations: 4515 Gresham St.. & 2620 Ingraham St.